There are nights when I am happy to putter around in the kitchen and take my time in preparing dinner. And then there are nights when you get home at 7pm, only to have to get on conference calls at 8pm with a mere hour in between. Yes, there is always take out, and I happen to live in a city that's very take-out friendly. But sometimes, sometimes I wish for a home-cooked meal that is simple, good and takes not-so-long to make. I know - I'm asking for a lot here. And yet - such things do exist. This recipe here is proof. Truth be told, I was a bit anxious about this month's post. I saw my workflow a mile away - saw the evening calls almost every evening, saw everything else on my roster and thoughts to myself, "Whatever will I write about? What time, if any, will I have to cook?" And then it dawned on me that some of you might be stuck in a similar predicament - facing the workload of a new year that makes it tough to get yourself into a kitchen. And when I read through this recipe, I felt like I had a winner on my hands. Well, I was right and I was wrong. I thought this was going to be a fine, suitable week-day meal. It was better than that. It was, in fact, so good, that I helped myself to a second bowl. I had promised a container to my running partner, and she was in serious danger in not getting any lunch tomorrow. Lucky for her - I'm a considerate soul. My notes here (since we now just link to the recipe - sorry, folks) should help you out. First of all, I added pancetta because I wanted a little meat in there tonight. 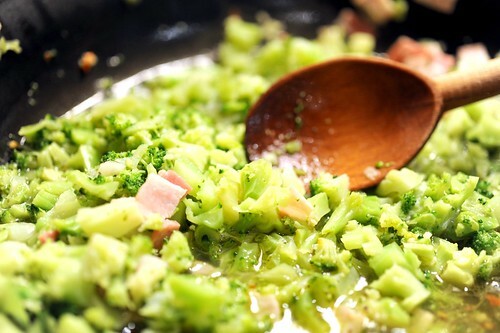 Secondly, the recipe tells you to cook all that broccoli medley covered until the water evaporates. This made no sense to me and I uncovered the saute pan to actually let the water evaporate. It worked beautifully. So now, on these busy nights, there's nothing that stands between you and your dinner. So, what are you waiting for? Get thee into the kitchen! 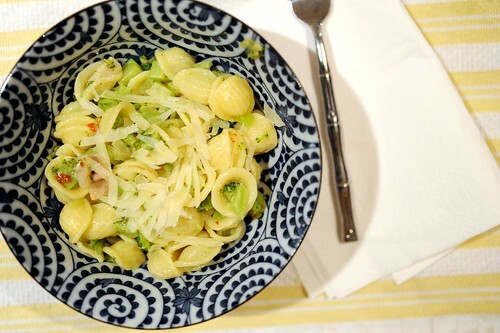 Broccoli and pasta has long been a quick meal staple around our house. 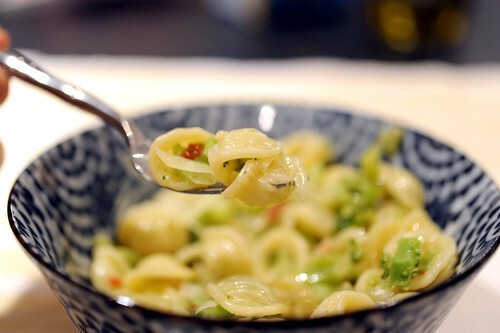 Healthy and quick to prepare, it's on our list of favorite comfort foods! 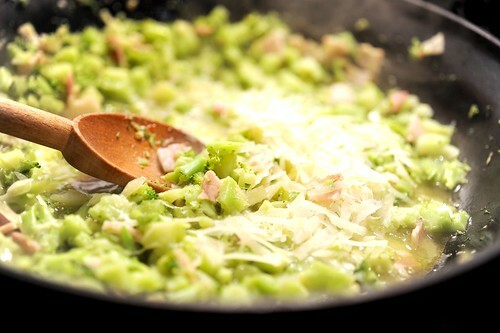 great pictures and this looks like an absolutely delicious dish! 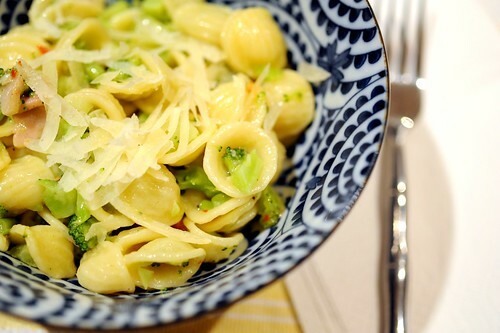 Love pasta ... and I love that bowl!